Vice President of the United States Richard Cheney and President of the Veterans In Politics Steve Sanson. Steve Sanson strong commitment to his country and his community has been demonstrated through his leadership and service in the United States Marine Corps in Saudi Arabia during Desert Storm, which earned him the distinguishing Certificate of Commendation from the United States Marine Corps. Within Clark County, Sanson assumes an important role with the Veteran Community. Steve Sanson is the former Chaplain for the Veterans of Foreign Wars and the Marine Corps League. Sanson made numerous appearances at funerals for our fallen serviceman, parades, and community functions. Sanson is the President for Veterans in Politics International, and had testified in front of our Nevada State Legislature on various Veteran issues. Steve Sanson participates at Town Hall Meetings, County Commission Meetings, Planning Commission Meetings, and City Council Meetings. Sanson earned a Certificate of Recognition by Nevada Republican Assemblywoman Valerie Weber and a Certificate of Appreciation by Nevada Democratic Assemblywoman Marilyn Kirkpatrick. many citizens within the community to assist in their preparation for Small Claims Court. Steve Sanson is very active within the Republican Party. Sanson is a member of several Republican Coalitions. Sanson was elected to the Clark County Republican Party - Executive Board and designated Chaplain for the Clark County Republican Party Central Committee from 2006 through 2008. Sanson was also a Poll Watcher during the 2004 Presidential Campaign and Site Coordinator for the 2008 Presidential Caucus. Steve Sanson has Nevada Governor Jim Gibbons appointment to the Southern Nevada Veteran Cemetery Advisory Board. 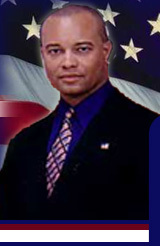 Furthermore, Steve Sanson is the Vice President for the Asian Republicans of Nevada (ARN). Sanson is instrumental in creating awareness within the Asian and Veteran Community regarding political and social issues. Sanson promotes active participation in the election process for the Republican platform both locally and nationally by eligible voters. Sanson is also the host of a Internet Talk Show on AllTalkRadio.net every Saturday discussing issues that concern the community with distinguished members of our community. Steve Sanson character is beyond reproach. He is a man with honor, integrity, and veracity. Sanson selflessness and altruism to his community have been demonstrated time and again. Sanson leadership is superb and his allegiance to the course is admirable and rarely duplicated. We need a leader with courage and endurance. We need a leader who will stand strong with audacious vision to “do the right thing”. Steve Sanson commitment and devotion have been proven. As importantly, Steve Sanson provides the rare combination of a new look on politics with old-fashion principled values.